Residents find that Canton, Michigan is an exciting place to live. Canton has a rich and vibrant community providing families with lots of retail, restaurant, entertainment, and recreational opportunities throughout the year. If you are looking for things to do in Canton, this quick list is a great place to start. The Village Theater at Cherry Hill is a multicultural community events center operated by Canton Township. 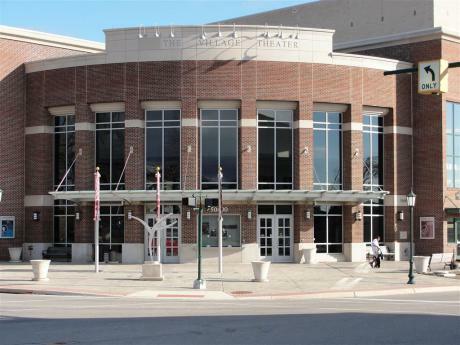 Canton locals often visit the theater to take in a live show, art exhibit, or live concert. Every month the Theater hosts multiple shows attracting all types of audiences including comedy, orchestra performances, magicians, and many other must see events. When considering things to do in Canton, Michigan, we recommend checking out the monthly calendar at the Village Theater at Cherry Hill. The Arctic Edge Ice Arena of Canton is a state of the art skating facility featuring two NHL-size rinks. Whether just starting out or having years of experience on the ice, Arctic Edge of Canton has programs for every level skater. The ice arena hosts open skate on the weekends, or you can join one of their adult or youth hockey leagues. If hockey isn’t your speed, then you can learn the art of figure skating from one of their world renowned instructors. The ice skating center also offers private events for birthday parties or other special occasions. Fellows Creek Golf Club offers Michigan golf at its finest. With three unique nine-hole layouts, Fellows Creek offers 27-holes designed to meet the needs of golfers at any skill level. Golfers can combine two different nine-hole settings to create a unique 18-hole round. After your game of golf, you can grab a bite to eat and a drink at their popular grill called The Creekside Bar & Grill. The golf club also has a large banquet room which can be rented out for private events and special occasions. Fellows Creek Golf Club is a public golf course. 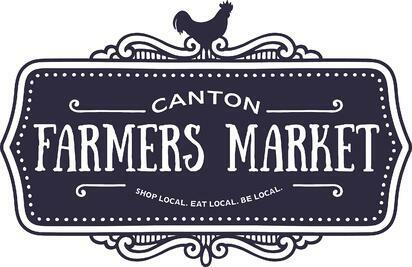 The Canton Farmers Market becomes one of the area’s biggest attractions during the summer and early fall months (May through October). The open-air market is a great way to get outdoors, have some fun, and see your neighbors. Of course the main attraction is the fresh produce from local farmers and hand-crafted goods from local artisans. The Canton Farmers Market also has a large assortment of cooking classes, gardening classes, and activities for the kids making this a great activity for the entire family. The Canton Liberty Fest is one of the most anticipated family events of the year. The township puts on a week of events and attractions in beautiful Heritage Park right in the heart of Canton, Michigan. The event features carnival rides and games, live concerts, a movie under the stars, fireworks, a variety of food and beverage options, a family fun run, and many other family activities. The Canton Liberty Fest is one of those rare events that brings together friends and family across the entire community. Click here for more information about the next Canton Liberty Fest. Canton, Michigan is proud to be home to Michigan's only IKEA store. The approximately 350,000 square foot Swedish home furnishings store draws customers from not only all over the state of Michigan, but from neighboring states and Canada as well. While it may be a “non-traditional” Canton activity, this massive shopping attraction is something you won’t want to miss. Whether you are in need of some home furnishings or not, you will want to take your time exploring this unique and creatively laid-out store. The IKEA store is so massive and can take so long to peruse, that you may work up an appetite while there. The store offers multiple opportunities for you to enjoy a delicious taste of Sweden. Take a break in the Restaurant with a Swedish-style dish, after checkout grab a quick pick-me-up at the Bistro, or explore the Swedish Food Market for take-home meals and treats.